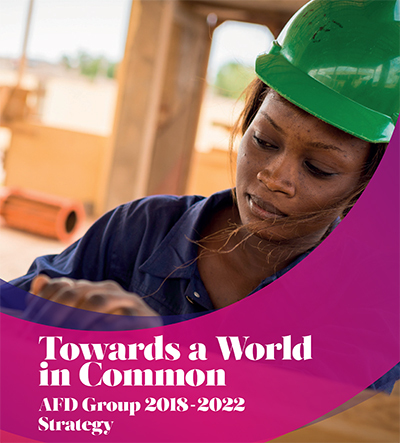 The French Development Agency (AFD) unveiled its new development strategy for the next five years on 3 September. Drawing on an extensive consultation process, France intends to refocus and boost its development co-operation to build “A World in Common” that preserves and protects five common goods: people, planet, prosperity, peace and partnership. The new strategy has five strategic priorities and commitments. The first commitment, 100% Paris Agreement, aims to make sure that all AFD projects are climate-change-resilient and support low-carbon development, in line with the objectives set by COP21. The second commitment, 100% social link, focuses on social cohesion and the well-being of populations, including through access to education and gender equality. The AFD Group also commits to uphold the third “D” in France’s defence, diplomacy and development trinity. It plans to dedicate more financing to non-sovereign entities, such as local governments, civil society organisations, foundations and private sector companies, and to be open to new partnerships to encourage mutual learning and improve the efficacy of projects. In terms of geographic focus, Africa remains a key priority for France. The continent is the first out of three newly-defined global regions (the other two regions are “the Americas and the Orient” and the “Three Oceans.” France’s whole-Africa approach promotes inclusive development, emphasizing the importance of re-connecting both shores of the Sahara, especially within the Sahel Alliance. The AFD Group will focus on its efforts in Burkina Faso, Chad, Mali, Mauritania and Niger through its Tiwara Initiative in the Sahel and the Kouri Initiative in the Lake Chad area. The two initiatives target the most fragile populations, focusing on youth employment and social integration, solutions for demographic challenges and support for local development. The new development strategy is supported by AFD’s financial systems strategy. France aims to increase its official development assistance (ODA) to 0.55% of gross national income (GNI) by 2022. This is less than the 0.7% target that France committed to as member of the OECD Development Assistance Committee (DAC), but it represents a 22% increase compared to its current level of ODA spending (0.43%).